Benton County Animal Control Services handles concerns and complaints about animals in Benton County rural areas. Tri-City Animal Shelter and Control handles all three cities concerns and investigations for dogs and cats. For wildlife situations call Wildlife Control. River’s Wish Animal Sanctuary is located on 65 acres in Spokane County and is dedicated to helping animals in need. We want to help! We are here for any agricultural animal that needs help. We provide food, shelter and veterinary care to farm animals who need a new home. 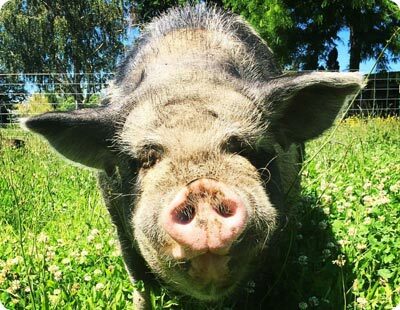 To protect and offer sanctuary to farm animals rescued from cruelty and neglect. To teach people kindness and compassion toward all animals through volunteer and education programs, and advocate for compassionate living. Pigs Peace Sanctuary is a place of tranquility and happiness located one hour north of Seattle in the Pacific Northwest of the United States. We are a non-profit 501(c)(3) ogranization dedicated to providing a safe home for unwanted, abused or neglected animals in need and we are committed to spreading the message of compassion and respect for all animals. The mission of the Benton County Animal Control Facility is to balance the health, safety and welfare needs of people and dogs within the unincorporated areas of Benton County. We achieve our mission by protecting citizens from dangers and hazards of uncontrollable dogs and promoting responsible pet ownership. The Animal Control Authority was established to maintain administrative oversight of animal control services that are provided to the citizens of Kennewick, Pasco and Richland. Currently Tri-City Animal Shelter and Control provides this service. BFHS is dedicated to preventing cruelty to animals and the creation of a more responsible and humane community. We operate an Adoption Center and No-Kill Shelter in Kennewick, Washington. Pet Over Population Prevention (POPP) is a 501(c)(3), local non-profit, all-volunteer, NO-Kill pet organization dedicated to promoting responsible pet ownership, thus preventing the needless death and suffering of companion animals. Mikey’s Chance is dedicated to rescuing dogs from untenable situations, and placing them in homes where the needs and lifestyle of the humans match the needs and temperament of the individual dog. Please message on Facebook or email. Let’s build the regions biggest and best pit bull and bully breed rescue! Northwest Boxer Rescue (NWBR) believes that every boxer deserves a chance to live a happy life in a loving home. Abandoned or homeless Boxers will always find shelter, medical care, and ultimately a new home, through the efforts of NWBR.